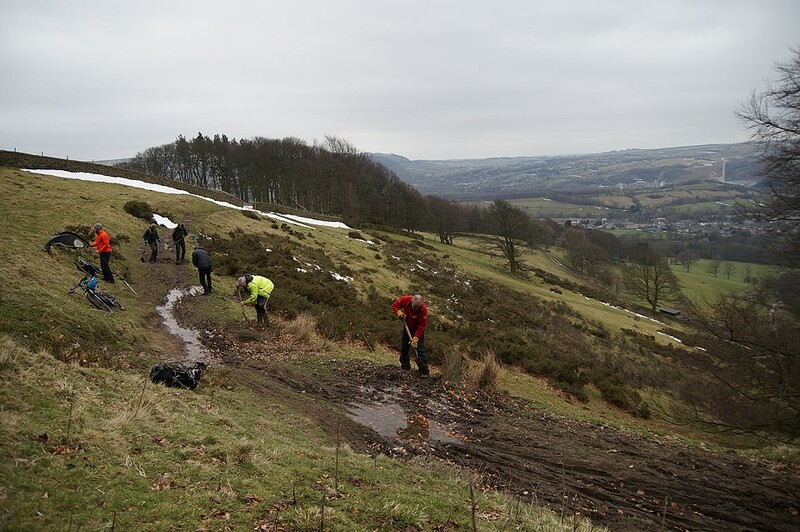 The Peak District MTB Dig Team kicked off the first engagement of the season at Aston, in the Hope Valley, on a dry Thursday in March. 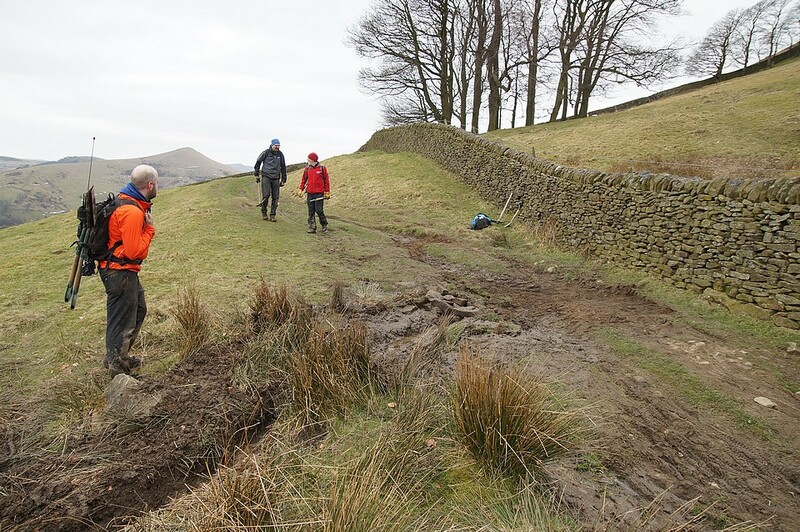 We’d last done bridleway maintenance here in late 2016, reinstating a french drain near the bottom. After some brews at Cafe Adventure in Hope and the handing over of the Official First-Aid Kit courtesy of the Peak Park. We got to park almost at the site, as the landowner had allowed as to park at their farm. This saved the eight of us quite a bit of energy carrying the tools that Martyn, the Peak Park Ranger, had brought along. 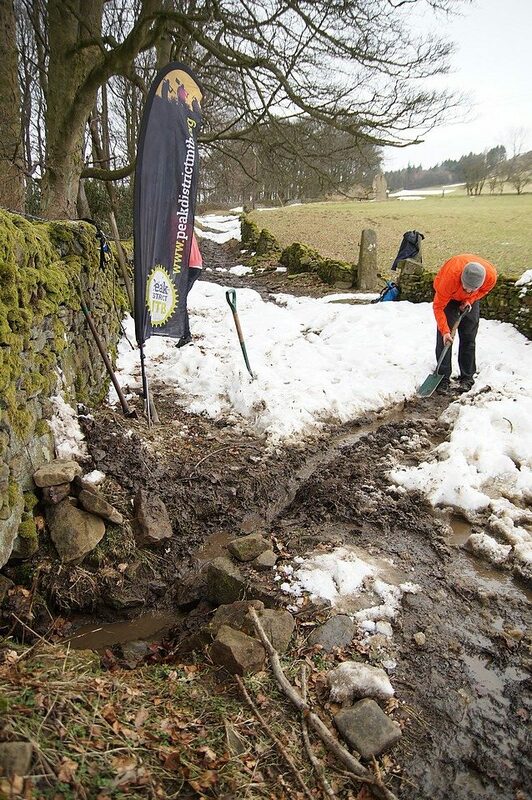 The previous weekend’s snow had drifted in the gulley of the track and quite a lot was yet to melt. So some of us had to dig snow before we could get down to the track. Work on this section enabled water flowing down the track to depart off into existing drains and reduce the sloppiness of some areas. This also should help some riders hold the line on the first corner into the gully and not overshot into the bog (there’s always one). 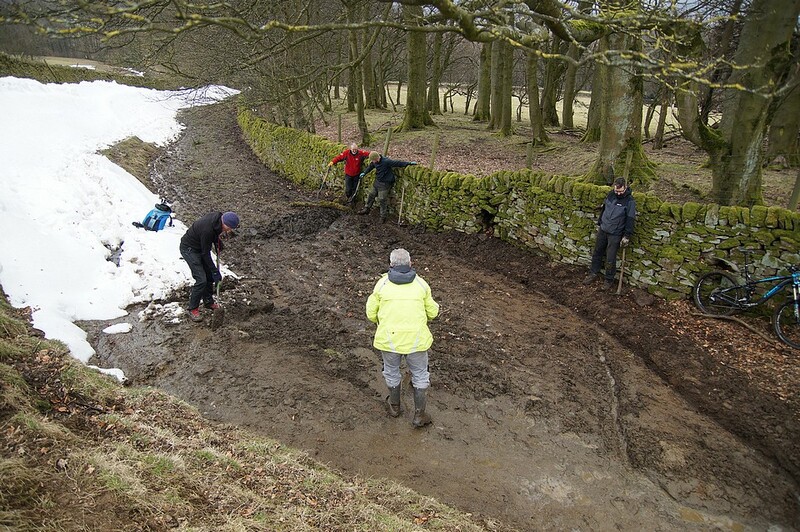 On the open section between the gates, with a few minutes work we cleared and cut small drainage notches to remove puddles, which will reduce long-term muddiness. Re-energised by some snacks while watching the buzzards and kestrels working the flank of the hill overlooking Hope, more was done on the long section above the gate. We in-filled some rutted sections to prevent the path widening. And dug drains at the bottom of the climb and at the speed-bump in the middle where water often accumulates. The walk back gave an opportunity to admire the finished work and the newly reinstated land drain. 5 hours well spent. 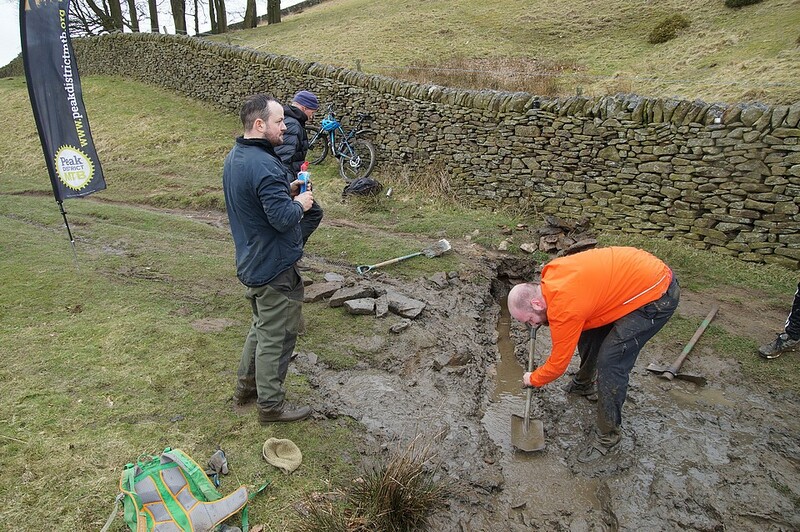 Contact dan@peakdistrictmtb.org for more info on Roaches dig days. 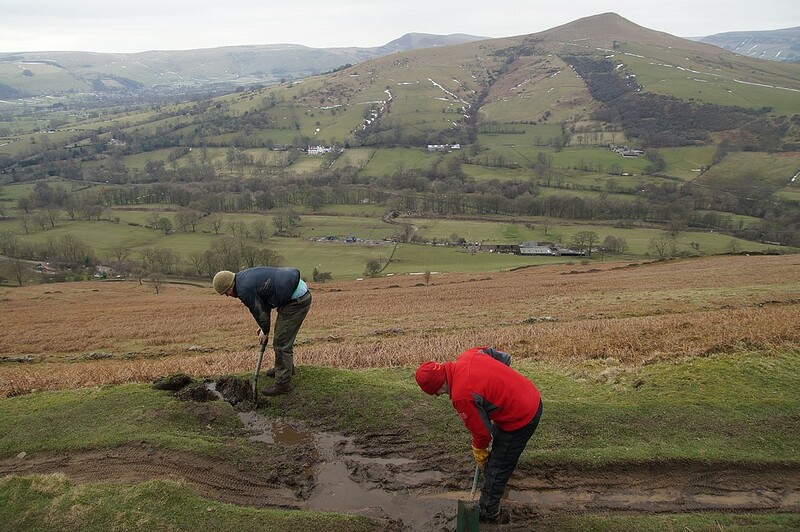 Contact james@peakdistrictmtb.org for more info on dig days.